Approximate paddling distances listed and can vary depending on group size and weather. We will do our best to adhere to the schedule listed above. However, the itinerary may change due to reasons beyond our control such as wind, waves or inclement weather. Our most popular wildlife adventure in Baja combines sea kayaking in the Sea of Cortez with whale watching in Magdalena Bay, one of the major calving lagoons for gray whales. This is the ultimate Baja trip, combining one of the most incredible wildlife encounters on the planet (touching grey whales) - and sea kayaking through the magnificent beauty of Loreto Bay National Marine Park in the Sea of Cortez. You'll stay three days at our exclusive whale camp located at a remote beach on a barrier island in the heart of gray whale activity. In addition to whales, the lagoon is home to dolphins, sea lions, pelicans, and thousands of shorebirds. Your guides will introduce you to the desert plants, birds and other wildlife of Bahia de Magdalena on our Baja whale watching tour. 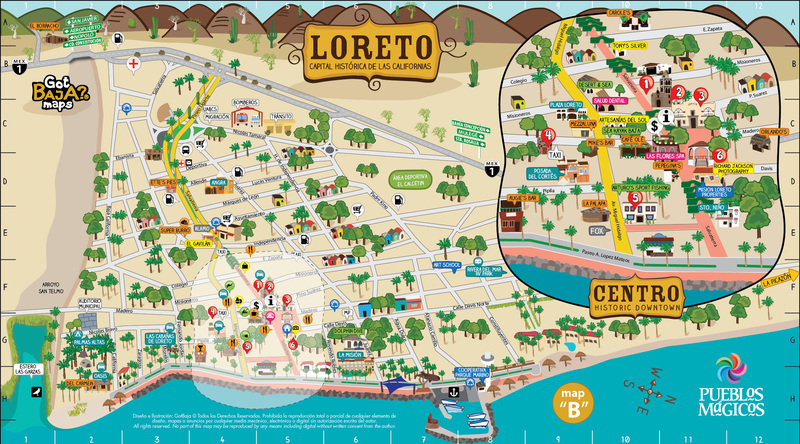 Then head back over to Loreto for three days of Baja sea kayaking and camping on remote islands in Loreto Bay National Marine Park, where the surrounding water is a sanctuary for blue-footed boobies, fin and blue whales, dolphins and sea lions. 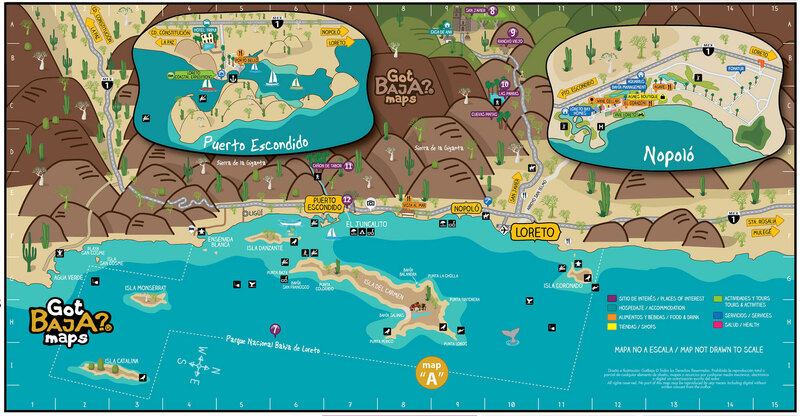 The Sea of Cortez is a UNESCO World Heritage Site and offers the perfect blend of Baja kayaking, hiking and snorkeling. Abundant wildlife, massive whales, sunny weather and warm, crystalline waters make the Sea of Cortez one of the best winter adventure destinations in North America and Mexico. With each of these tours, your first and last nights will be hotel-based in Loreto with an extra hotel night between kayaking and whale watching. All activities are led by naturalist guides, who dish out tasty chile relleno and margaritas in tented beach camps at days end. You'll bring home a lifetime of memories. Go eye-to-eye with gray whales in a calving lagoon on Baja's Pacific coast and then cross the Baja Peninsula to paddle a kayak alongside dolphins and blue whales in the clear waters of the Sea of Cortez. Our Sea of Cortez Kayaking and Magdalena Bay Whale Watching Combo tours lets participants get close to whales, explore desert islands by sea kayak and snorkel along isolated coves in warm, turquoise waters. Magdalena Bay is sheltered from the Pacific Ocean by a barrier of desert islands. The sandy barrier islands protect the lagoons from oceanic currents, creating a fascinating environment of twisting mangrove-lined estuaries, chaotic sand dunes and blooming desert plants. January through March, hundreds of gray whales mate and bear their young in these protected waters after traveling over 5000 miles from the Bering Strait. You can watch gray whales and their newly born calves up close from the safety of motorized skiffs in the deeper parts of the bay, where friendly whales swim up to the skiffs for a head rub! Breaching, spy-hopping and fluking, the whales will captivate your attention with their behavior and we guarantee whale sightings. We run this itinerary in both directions - in other words, your trip may start with kayaking and finish with whale watching, or start with whale watching and finish with kayaking. Although there is a very good chance we'll see whales and other marine life throughout the week, the frequency, proximity, and quality of sightings will ultimately be determined by the wildlife. Arise to the sounds of birds chirping and waves lapping the shore as coffe and tea are prepared to great you and the morning sun. Feel free to stroll along the beach, sip your coffee, and watch the whales as your guides prepare a hot breakfast. You will have two whale watching sessions by federally-licensed skiff today, with plenty of time for dune walking, hiking, and relaxing on the sand while whales frolic offshore. You can also elect to do birding tours in the mangrove areas of the lagoon instead of whale watching, or part whale watching, part birding sessions. campsite. Roomy dome tents are provided, although with Baja's lack of insects you may be tempted to sleep out under the stars. Several campsites have desert arroyo hikes which offer spectacular views as well as some of the desert flora unique to Baja. With the smell of coffee and hearty breakfast wafting through the air as you arise in the morning to get ready for a day of paddling. While paddling you will explore the scenic cliffs and coves of Isla Danzante and Isla Carmen. Opportunites for snokeling, beachcombing, and hiking will be mixed into your day before you settle down at the next campsite for dinner and star gazing. After a final breakfast, you will paddle to the take-out site and unpack your kayak while the guides prepare lunch. A van will return you to the hotel mid-afternoon to relax and clean up. In the evening, you are invited to join your group for a final farewell dinner to say good-bye and toast new found kayaking skills and friends. There are no scheduled activites today so you may depart Loreto at any time. If this tour is too short for your travel desires, please join us for our 10-day Combo Tour. Single Supplement: If you are a solo traveler and wish to have your own hotel room in Loreto (or if we are unable to pair you up with another solo traveler), an additional single supplement of $175 USD is required. Solo travelers will always be provided with a single tent while kayaking, but may be asked to share a large stand-up canvas tent with another guest at Magdalena Bay Whale Camp.If you are asked to share a tent at our whale camp, rest assured that tents are very spacious, full-height canvas wall tents, with two cots and plenty of room to stand and maneuver around your tent-mate without difficulty. Please inquire at time of booking if you have any questions. Our tour costs are based on double occupancy on any included hotel nights. Solo travelers who would like their own single hotel room can pay a single supplement or can be matched up with another solo traveler of the same gender if one is available and willing to share. If we are unable to pair you with another solo traveler, we must apply the single supplement charge to cover our hotel costs. Solo travelers will always have their own tent during kayaking tours, and will typically have their own tent at whale camp, both at no additional cost. However, we are unable to guarantee individual tents at whale camp due to limited tent capacity. If you are asked to share a tent at our whale camp, rest assured that tents are very spacious, full-height canvas wall tents, with two cots and plenty of room to stand and maneuver around your tent-mate without difficulty.